Set on the shores of Lake Erie is one of Northeast Ohio’s greatest gems: Cleveland. The city offers culture, recreation, art, sports, history and so much more. There are family friendly activities no matter what type of event your family is craving, and you will keep coming back for more! 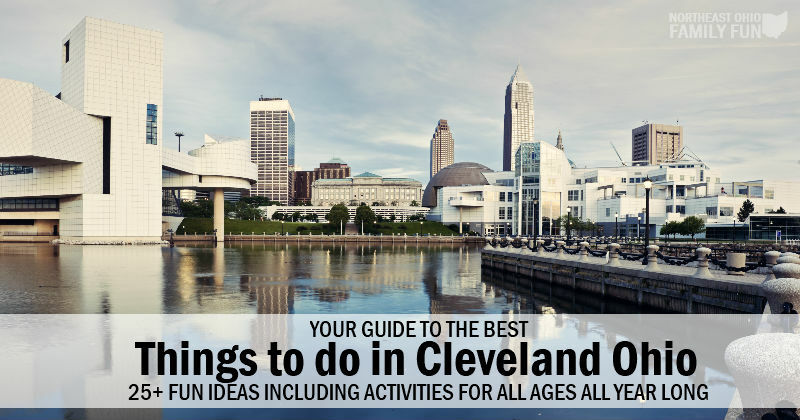 Check out our top picks for things to do in Cleveland Ohio, including activities for all ages and interests all year long! 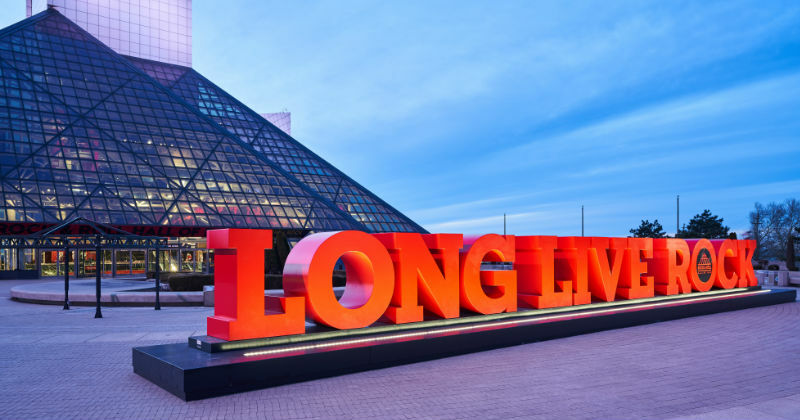 Cleveland became home to the Rock and Roll Hall of Fame in 1986, recognizing and celebrating those who have had an influence on the development of rock and roll. The building is located on the shore of Lake Eerie with seven levels of exhibits and attractions. An array of things to read, see and interact with will keep the entire family entertained. The Cleveland Museum of Art was founded in 1913. With more than 45,000 permanent works of art, it is one of the most visited art museums in the world. The museum offers different visiting experiences for all ages and admission is free. 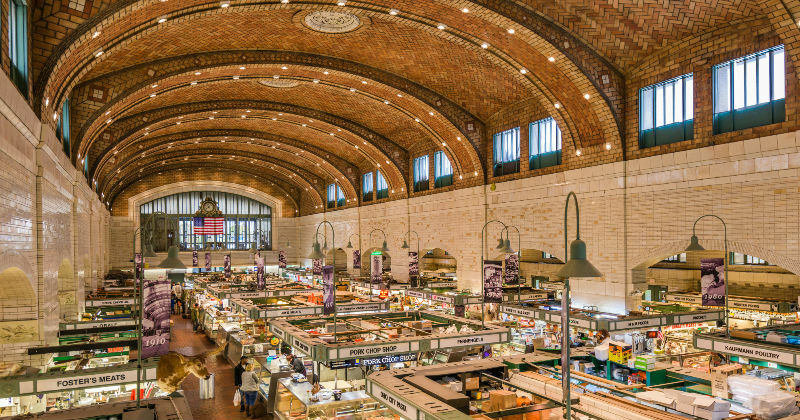 Located in Cleveland’s historic Ohio City neighborhood since 1912 is West Side Market. In 2008, the market was designated as one of the “10 Great Public Places in America,” by the American Planning Association. The indoor/outdoor space has many vendors that have remained in the family since its origin. 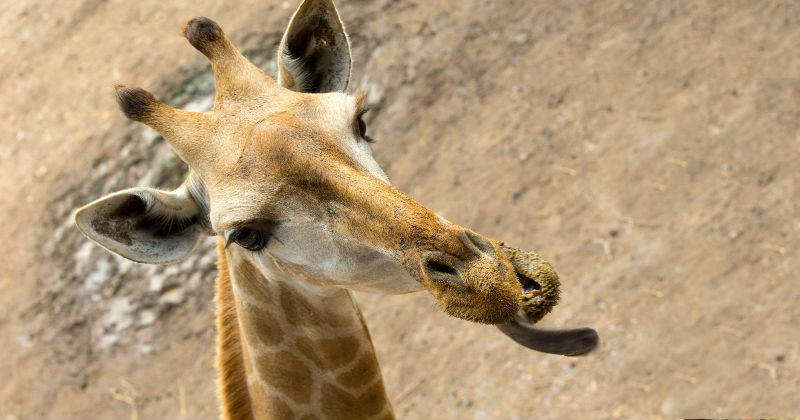 The Cleveland Zoo is an animal wonderland for both kids and kids at heart. This venue is designed to entertain visitors at all age levels, which makes it a great destination for the entire family. Make sure you check out the website for specials (for example, on Father’s Day all dads are free). 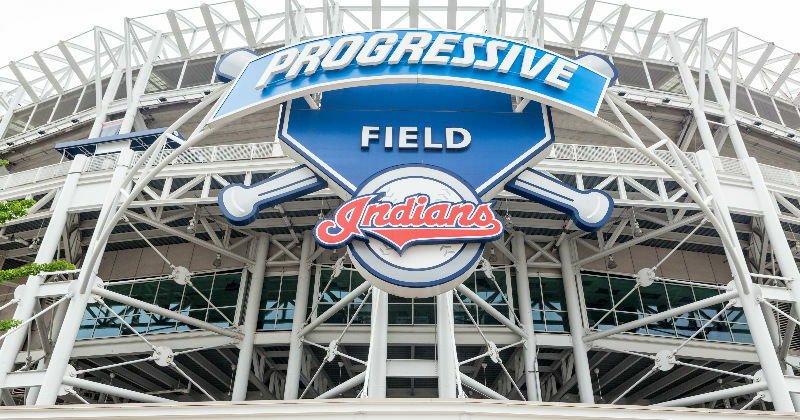 Progressive Field provides the perfect home to Cleveland’s very own Indians’ baseball team! The field has seating for more than 35,000 people, activities for fans of all ages and events throughout the year. Check out the websites for the current schedule, events and roster. The house from the movie, A Christmas Story, is restored and open year round for tours and overnight stays. Reminisce over favorite moments and mementos from the film. There is also a museum dedicated to the movie right across the street from the home. The house is open year round, 7-days a week from 10 a.m. to 5 p.m., tours run every hour beginning at 10:15 a.m. The Cleveland Museum of Natural History was opened in 1920 to perform research, education and development. Today the museum collections contain more than four million specimen. 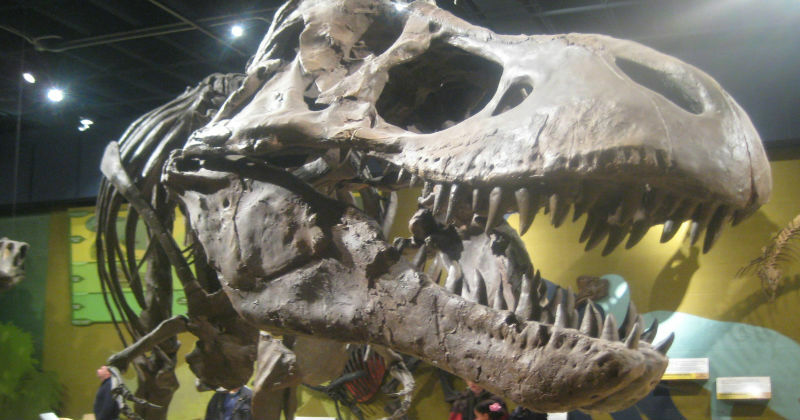 With exhibits, wild animals and indoor and outdoor activities, the museum truly offers something for everyone. Located downtown Cleveland is the main library of the 27 branch library system. The Cleveland library consists of two buildings. It offers special collections, a variety of events and classes and an enormous selection of resources! The Cleveland Botanical Garden was founded in 1930. Today it contains more than 10 acres of gardens, including the Hershey Children’s Garden. You will also experience The Eleanor Armstrong Smith Glasshouse, a 17,000 square foot conservatory. The Great Lakes Science Center opened in 1996 as a museum and educational facility. It is also home to the NASA Glen Visitor Center, where science demonstrations are conducted on a daily basis. Several events, groups and camps take place throughout the year. Edgewater Park offers 9000 feet of shoreline. It is home to Edgewater Beach, Perkins Beach, the Marina and Yacht Club. With more than 147 acres, there is truly something for everyone. Remember your camera so you can get a photo at the Cleveland Sign at Edgewater Park. The Cleveland Orchestra was founded in 1918. It is one of five orchestras in America often referred to as the “Big Five.” The beautiful Severance Hall is home to musical events for all ages, and the Cleveland Orchestra plays at other special venues throughout the year. The Cleveland Metroparks is a system of 18 reservations. There are more than 100 hiking trails to venture, as well as eight lakefront parks and five nature centers. With nearly 23,000 acres throughout Cuyahoga County and Hinckley Township there is always something to do. 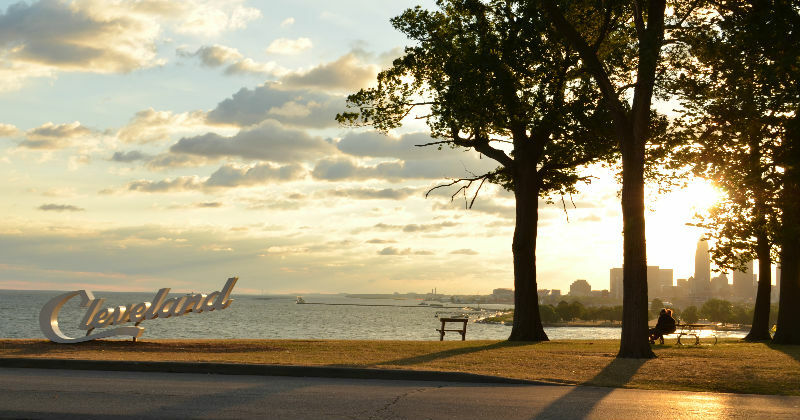 Lakewood Park is a 31-acre lakefront park in the Lakewood Parks system. It offers a variety of activities for the entire family. The Lakefront Promenade offers a brick walkway with a skyline view of downtown Cleveland. Playhouse Square is a theater district in downtown Cleveland. It is the largest performing arts center in the United States outside of New York. With more than 1,000 annual events, there is a show for everyone! 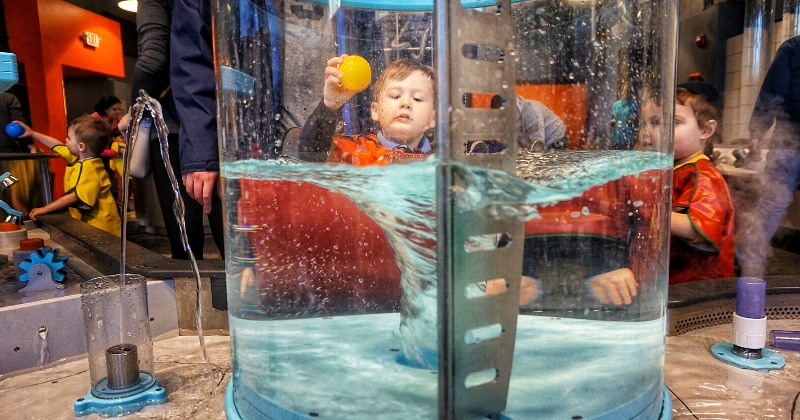 The Greater Cleveland Aquarium offers a trip under the sea right here in Cleveland. It is located in the historic First Energy Powerhouse Building, which is a neat experience in itself. The aquarium includes both local and exotic fish, hands on activities, a shark tunnel and so much more! Little Italy Cleveland offers more than 20 restaurants and 25 galleries for visitors to enjoy. The spirit of Little Italy Cleveland was born more than 130 years ago. It is ranked in the top five Little Italy’s in the United States. Do you have a mini adventure-seeker on your hands? 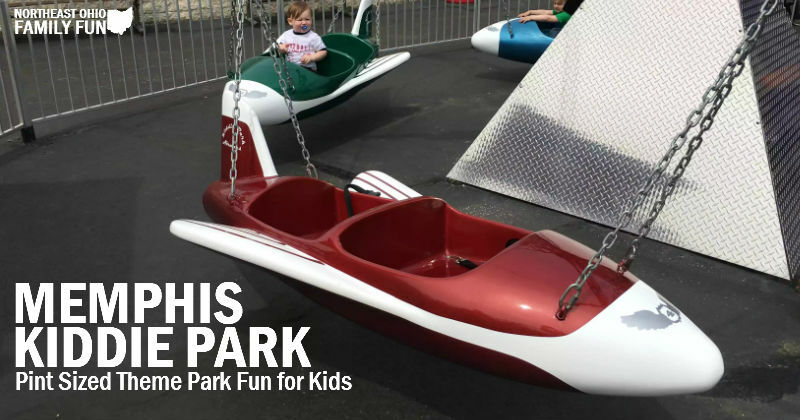 Then Memphis Kiddie Park is the place for you! This pint-sized theme park is the perfect fit for those who aren’t ready for the real deal quite yet. 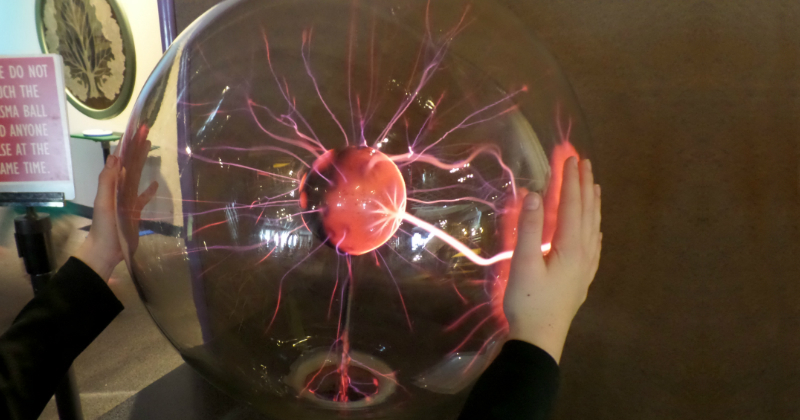 Read more: Your Guide to the Cleveland Children’s Museum – Including Video Tour! An integral part of Cleveland city center, Public Square is the four-block central plaza of downtown Cleveland. It is original to the 1796 creation. Spanning 6.5 acres, it includes newly added green space and a café. The Federal Reserve Bank of Cleveland is the 13-story Cleveland based headquarters of the U.S. Federal Reserve System’s Fourth District. Located inside the Cleveland Federal Reserve, the Learning Center and Money Museum is fully of interactive exhibits where you will learn about the history of money, try to identify counterfeit bills, make your own currency and more! The Western Reserve Historical Society is Cleveland’s oldest existing cultural institution, founded in 1867. Today it concentrates on the history of Northeast Ohio. The society also operates sites for hands on experience of the local area’s history. Wade Oval is located in University Circle in downtown Cleveland. As one of Cleveland’s premier public spaces, it hosts events throughout the year. Check the website for details regarding upcoming events. The Crawford Auto-Aviation Museum is part of The Western Reserve Society. It showcases automobiles at different stages of development throughout both our national and local history. There is something for everyone with all different modes of transportation on display. 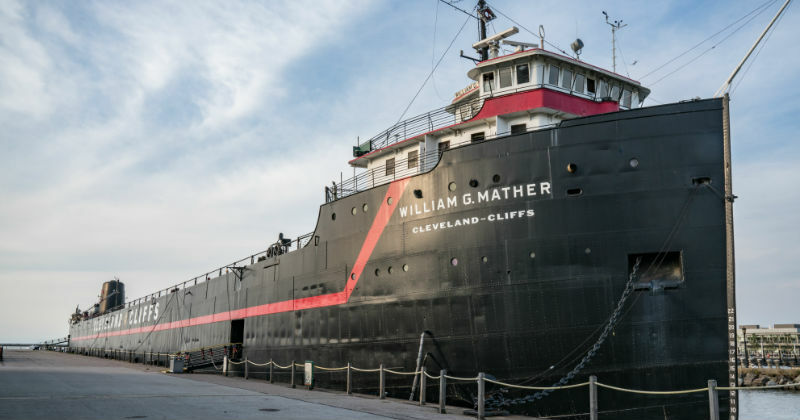 Part of The Great Lakes Science Center is the Steamship William G Mather. It is open for tours May through October. The restored 618-foot flagship allows you to see what life was like on a Great Lakes freighter. What about you? Have you been to any of these of other family friendly destinations in Cleveland Ohio? Leave a comment to let us all know what your top picks are. Thanks!